Dr. Wenchao Xue was invited by the National Research Council of Thailand to attend the annual meeting for Joint Project on “Watershed Science and Sustainable Management” in Xiamen, China, from 27 to 30 September 2018. The project was granted bilaterally by National Research Council of Thailand (NRCT) and National Natural Science Foundation of China (NSFC) from June, 2017, aiming to share knowledge and expertise between two countries to reach common points on sustainable development of Asian watersheds. 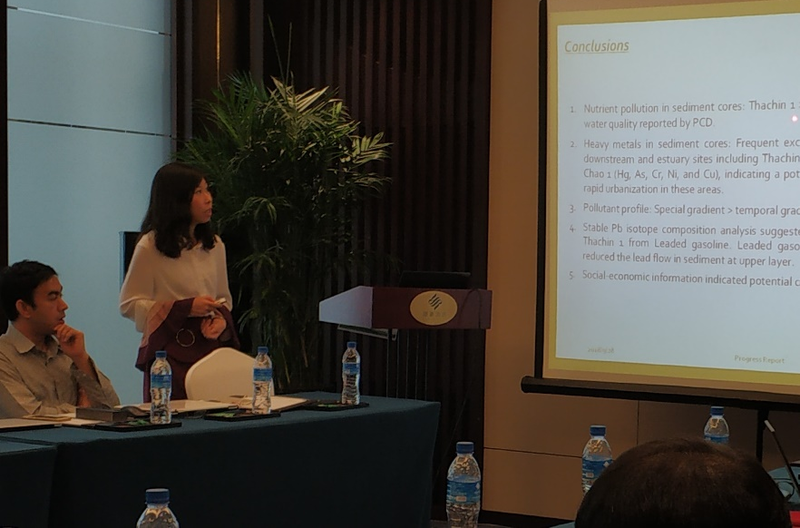 During the annual meeting, Dr. Wenchao presented the progress and outputs of the AIT research team on “Biogeochemical changes and adaptation mechanisms in response to anthropogenic impacts in watersheds: A comparative study between Jiulong River (China) and Chao Phraya River (Thailand)”. In addition, the direction for future research and collaboration on the “Future Earth” program was discussed during the meeting. An extension for the 2nd year of the project is expected from October 2018 with additional financial support from the NRCT.